My colleague handler Guy Bruneau wrote a diary  about "Hello Peppa" scans previous week. He encountered a large amount of scans in his honeypot, containing a payload with the string "Hello Peppa". In our honeytrap network we are following these scans for a while now, and collected additional information about these attacks. As mentioned in the comments of the other diary, the string Peppa could be a reference to Peppa Pig  and its removal from a Chinese video-sharing platform. The first occurence of the "Hello Peppa" payload, has been on June 16th. They are all targeting port 80 only and we've seen 34 different attacking ip addresses. All attacks have the same useragent "Mozilla/5.0". 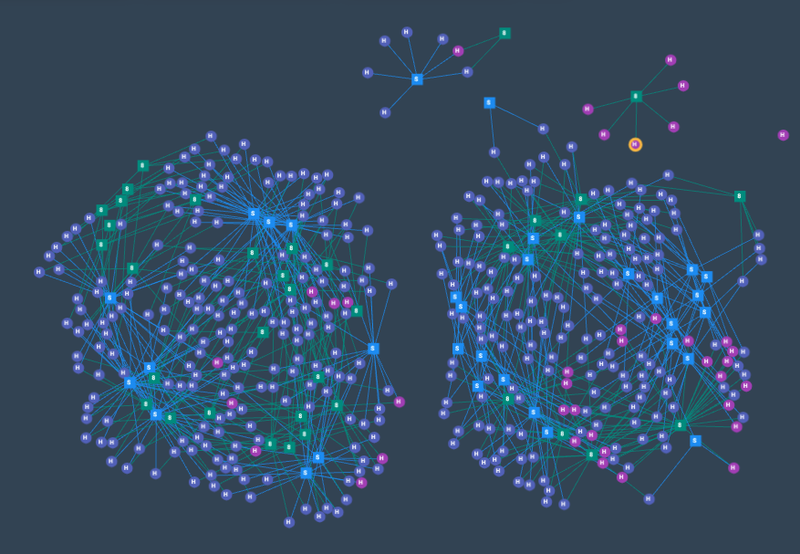 Looking at the animated screenshot, there are three different clusters appearing in time. The clusters indicate changes of approaches, where different payloads are being used by different source ips. The follow-ups are using a different useragent: "Mozilla/5.0 (Windows NT 6.1; Win64; x64; rv:58.0) Gecko/20100101 Firefox/58.0" while targeting url: /sheep.php". Interesting about this code is that is tries to protect its execution by the value of the field a which is being hashed by both md5 and sha, but only the last 4 characters are being verified. This is easy to circumvent and as an example, the password w2xm73zrc09hpo5v works. This time using useragent "Mozilla/5.0 (Windows NT 6.1) AppleWebKit/537.36 (KHTML, like Gecko) Chrome/66.0.3359.139 Safari/537.36", while targeting url db_session.init.php. The payload is more some kind of brute forcing different exploit scripts, by sending different parameters with the same value, which will put the uploaded file somewhere it will be reachable. Many of the attacks are originated from China, with the USA as second. The first attack we've seen has been from Chinese ip 119.28.44.140. The payload has been maturing, starting first with the "Hello Peppa" payload, then adding a small calculation to verify if the eval worked instead of just responding the same string. This could be to circumvent detection mechanisms or honeypots. What you see in the screenshot are 4 clusters, which are not related. This means that none of the source ips and payloads are common, as being a different attack. Looking at the progress in time, you'll find out that the attacks are being extended with extra urls. Each cluster is the attack url and source ip, starting at just a few urls, and at the end all urls are being hit. So at time they are improving there attack and payloads, expanding on the amount of urls and testing other payloads. Between the attacking servers there is a large amount running Windows with XAMPP installed. There are also different attacks being tried, like a PROPFIND exploit, phpmyadmin and the exploitation of previous attacks.